New Ideas in…: The 150 Attack (7 part series). In the latest of his "New Ideas In... " series, GM Ronen Har-Zvi looks at " The 150 Attack, " a sharp line for white against the Pirc that was pioneered in the 1980s by a new generation of English players, such as John Nunn, Nigel Short and Mickey Adams. The main idea is Be3, Qd2, Bh6, advance the h-pawn and then deliver mate. Naturally, this seemed too good to be true and was quickly dubbed the 150 Attack (a peculiarity of the English grading system, with 150 equating to 1800 Elo), since it seemed that only a club player would use such a blatant attacking system and expect the game to finish in checkmate. New Ideas in…: The 150 Attack (7 part series). B07: Pirc defense. In the latest of his "New Ideas In... " series, GM Ronen Har-Zvi looks at " The 150 Attack, " a sharp line for white against the Pirc that was pioneered in the 1980s by a new generation of English players, such as John Nunn, Nigel Short and Mickey Adams. The main idea is Be3, Qd2, Bh6, advance the h-pawn and then deliver mate. 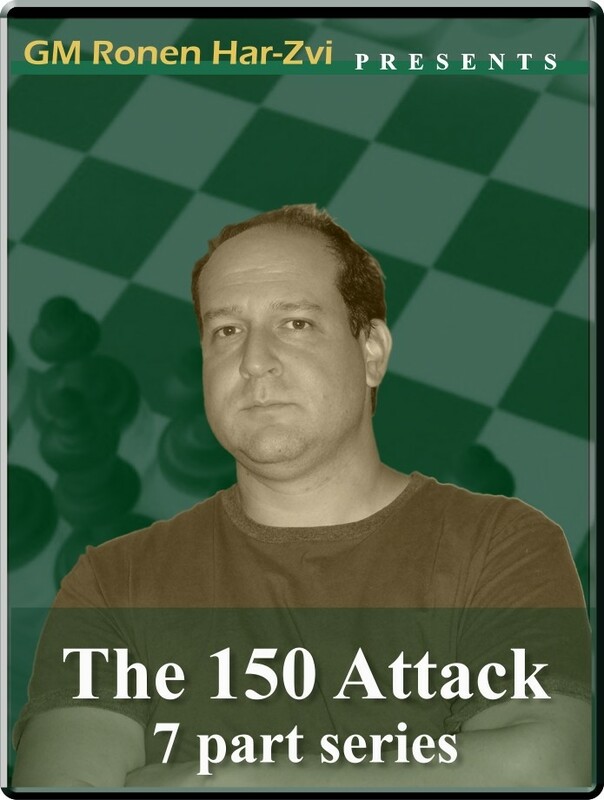 Naturally, this seemed too good to be true and was quickly dubbed the 150 Attack (a peculiarity of the English grading system, with 150 equating to 1800 Elo), since it seemed that only a club player would use such a blatant attacking system and expect the game to finish in checkmate.